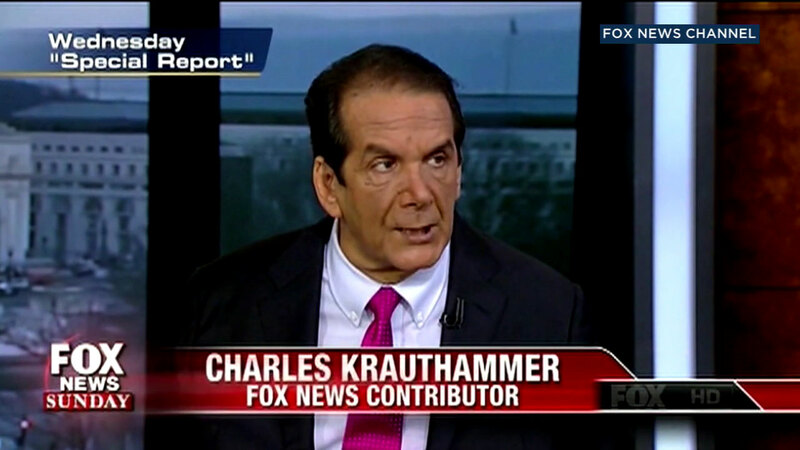 Conservative commentator and Pulitzer Prize winner Charles Krauthammer has died at age 68. NEW YORK -- Charles Krauthammer, the Pulitzer Prize-winning columnist and pundit who helped shape and occasionally dissented from the conservative movement as he evolved from "Great Society" Democrat to Iraq War cheerleader to denouncer of Donald Trump, died Thursday. "I leave this life with no regrets," Krauthammer wrote in The Washington Post, where his column had run since 1984. "It was a wonderful life - full and complete with the great loves and great endeavors that make it worth living. I am sad to leave, but I leave with the knowledge that I lived the life that I intended." "For decades, Charles' words have strengthened our democracy," George W. Bush said in a statement. "His work was far-reaching and influential - and while his voice will be deeply missed, his ideas and values will always be a part of our country." "I used to think Trump was an 11-year-old, an undeveloped schoolyard bully," he wrote in August 2016, around the time Trump officially became the Republican nominee. "I was off by about 10 years. His needs are more primitive, an infantile hunger for approval and praise, a craving that can never be satisfied. He lives in a cocoon of solipsism where the world outside himself has value - indeed exists - only insofar as it sustains and inflates him."